Greetings. This 2008 Ford Focus is for sale today in Winnipeg. This coupe has 87513 kms. It's silver in colour. It has an automatic transmission and is powered by a 2.0L I4 16V MPFI DOHC engine. Buy this vehicle now for the lowest bi-weekly payment of $157.64 with $0 down for 24 months @ 7.99% APR O.A.C. ( Plus applicable taxes - ). See dealer for details. 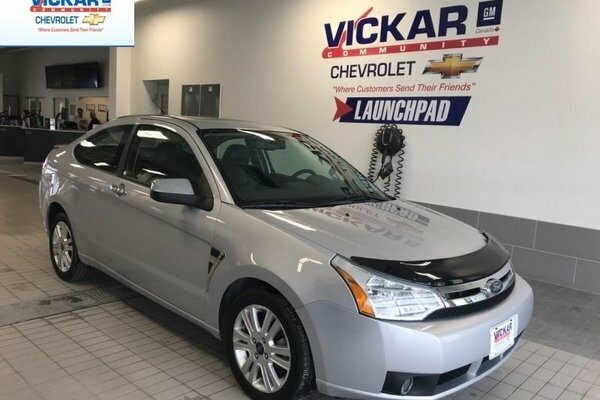 Want to try the 2008 Ford Focus SES 2.0L ?